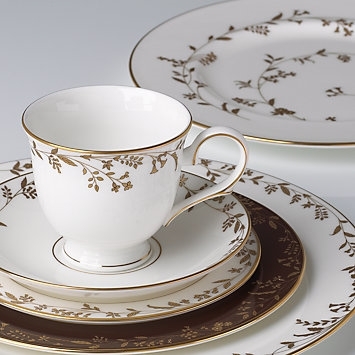 Take a bow with the L by Lenox® Golden Bough 5-piece Place Setting. Set your table with Golden Bough and you're certain to receive compliments on the delicate floral pattern. Diameter of dinner plate: 10 3/4", salad plate: 8", butter plate: 6", saucer: 6"